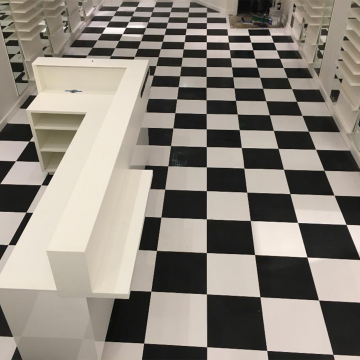 It can be hard to know what to look for when hiring commercial flooring contractors. Even if you know what you want and have been recommended a contractor you trust, it can be difficult to follow along in a consultation. At Branson Floors, we do our very best to make sure every client understands our process in simple terms, but we know it’s still good to understand how things work. Hardwood flooring refers to any type of floor made from timber. This could be flooring made completely from hardwood that is finished or unfinished, or engineered wood made from veneer with several layers of wood underneath. Hardwood is likely the most popular of all flooring projects for a simple reason: they offer a unique blend of strength and beauty. Another popular flooring material is reclaimed wood, which is essentially wood floors made from reclaimed lumber. This wood is often sourced from…. The wood is generally treated after being sourced, but is generally handled in a way for the lumber to retain its unique features while downplaying the less desirable ones. Resilient flooring is a common option for commercial spaces given the wide range of options and styles available. You can even easily put a name or logo onto the flooring, allowing it to fit in well with the branding or color scheme of any business. They’re also easy to clean and extremely durable, ensuring they’ll be around for a while. Carpet is a soft flooring material made from thick woven fabric. 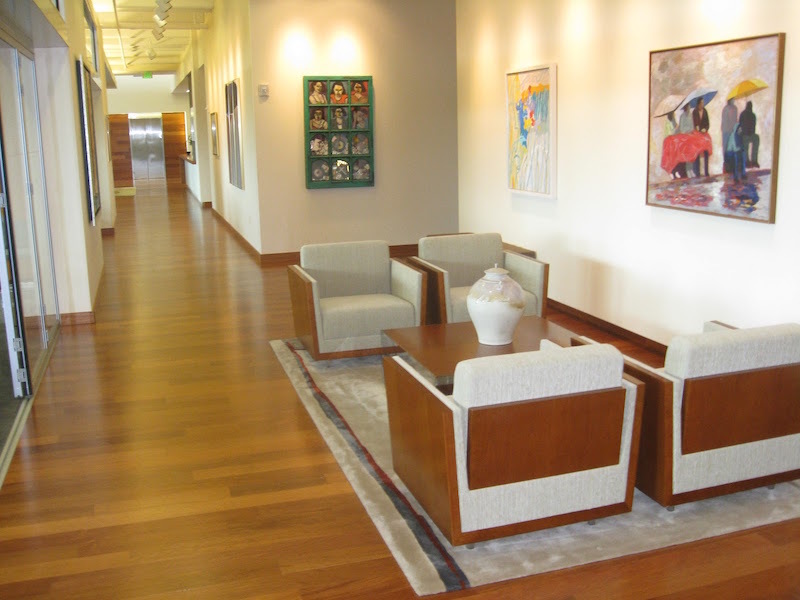 Often used in homes, commercial carpet flooring is a popular flooring material for office spaces. Carpet has a number of distinct advantages that differentiate it from other types of flooring materials. It’s quiet. Given it’s give and softness, carpet is a noise reducer. This makes it an ideal choice for offices where people need a quiet space to focus. Availability of different color and designs. When you install a carpet floor, the options are limitless! Less expensive. Carpet is less expensive than other types of flooring, making it the perfect material for large commercial jobs. Helps clean air. Carpets can act as a filter, trapping air pollutants such as dust, toxins, and allergens in the fibers. Already know what you’re looking for? Give us a call at (503) 775-0034 or contact us online for a free estimate. These spaces have particular needs that residential homes don’t have. 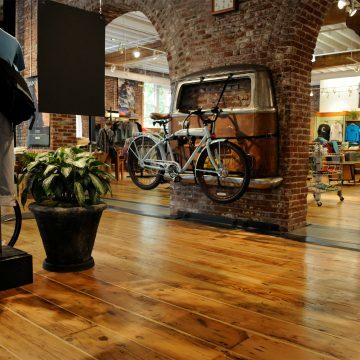 For instance, many commercial flooring in retail spaces will need to match the aesthetic of the store’s brand. Put simply: they need to look beautiful and be tough as nails. 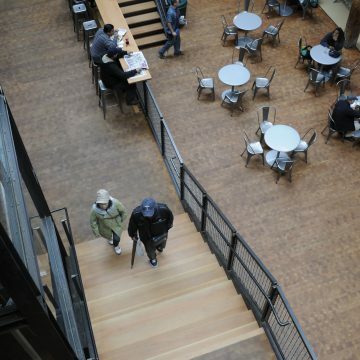 Durability: Any flooring being used in a commercial space must withstand frequent wear and tear. Easy Maintenance: Constant maintenance is not possible while there is a business being run. 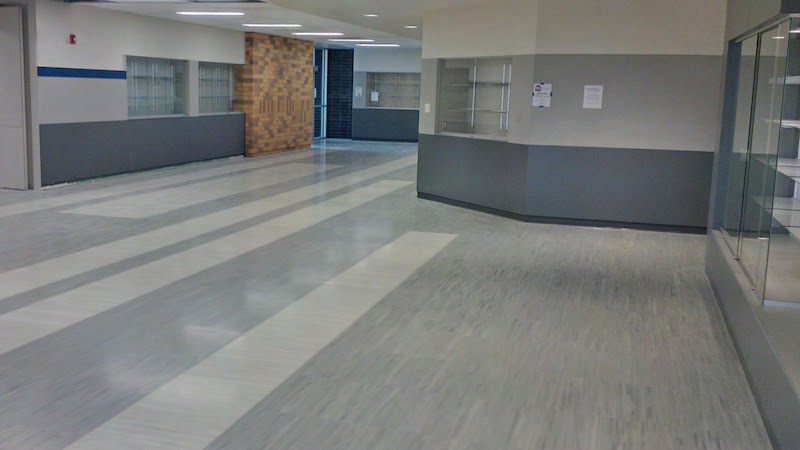 Stunning Aesthetics: A lot of people will see the flooring in a commercial building. 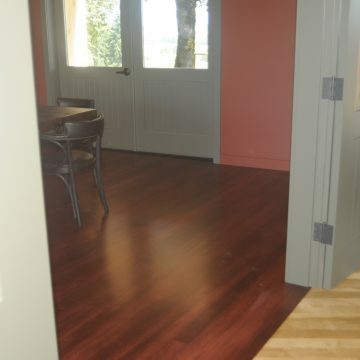 Any flooring will need to look good and compliment the rest of the space. 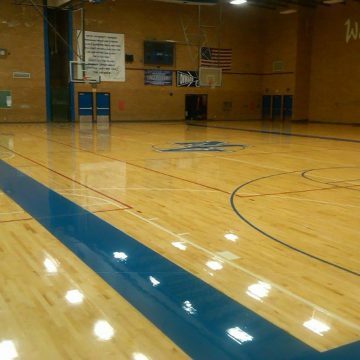 This is flooring designed for optimum performance and safety for particular sports or other activities. 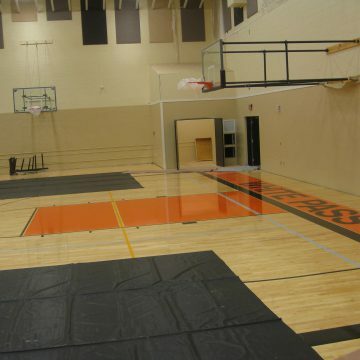 Performance flooring projects need to be designed and installed in a safe way to ensure the activities performed don’t result in injury. They also often must have logos or other markings placed on them. Maintenance is also a concern as generally these spaces have full schedules with different teams and leagues depending on their availability. The structural layer of your home’s initial design built to provide support for flooring on top. It’s the bottom-most layer of your floor. This layer is generally either concrete or plywood. This refers to a non-mandatory layer in between the subfloor and the floor covering (or top flooring material). This allows for an extra layer of strength and protections from floors from beneath the top surface. It also allows for a flat surface so the flooring material will stay flat and the floor itself will be level. This refers to the top layer of the flooring, or the actual flooring material or finished floor. 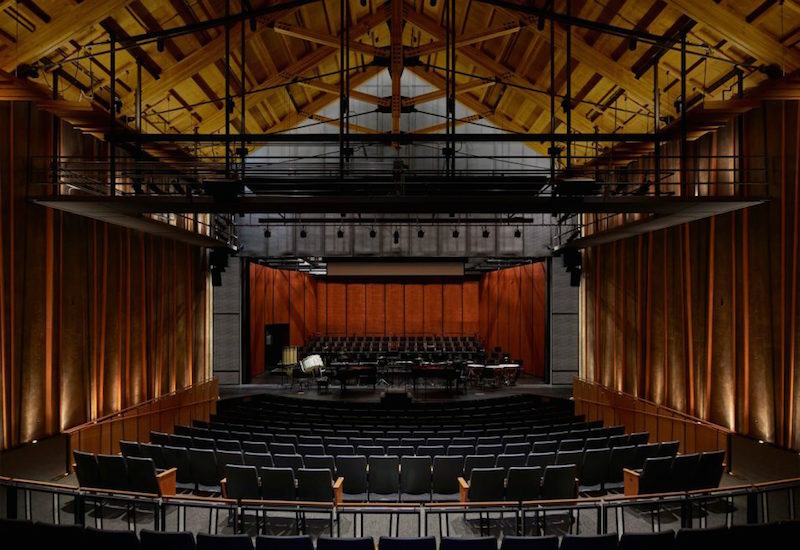 This layer can generally be changed without affecting the structural integrity of the space. A wear layer is the layer on top of the floor coverings or flooring material. This layer protects the floor from damage, stains, and scratching. A clear substance applied to the top of a the floor coverings to give the floor a smooth, shiny look. This is a style of installation of flooring that does not require drilling into the subfloor, which is how flooring is traditionally installed. Instead, the flooring is connected via either snapping or gluing into place. This is commonly done when the subfloor is concrete, and makes it easier to maintain the floors. This refers to the overall level of the flooring compared to the ground around it. Great flooring is more than great materials. 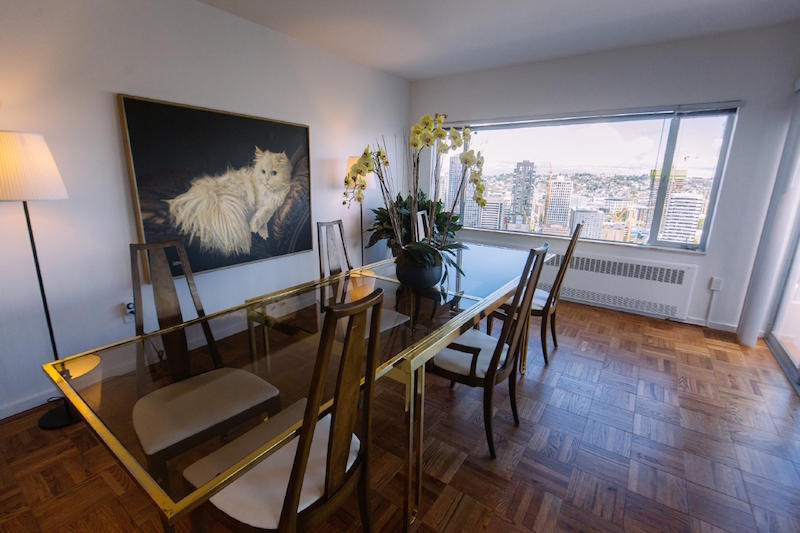 At Brandsen Floors, we’re committed to helping you create the perfect floor for your space. 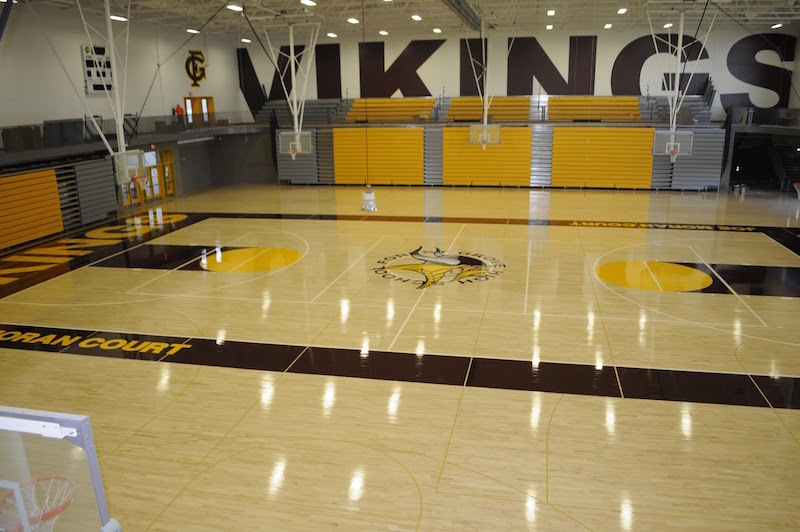 We’ve designed and installed over 20,000 custom commercial floors throughout the Portland and Seattle area. This experience allows us to help you understand your flooring options and find a solution that will work for your business. 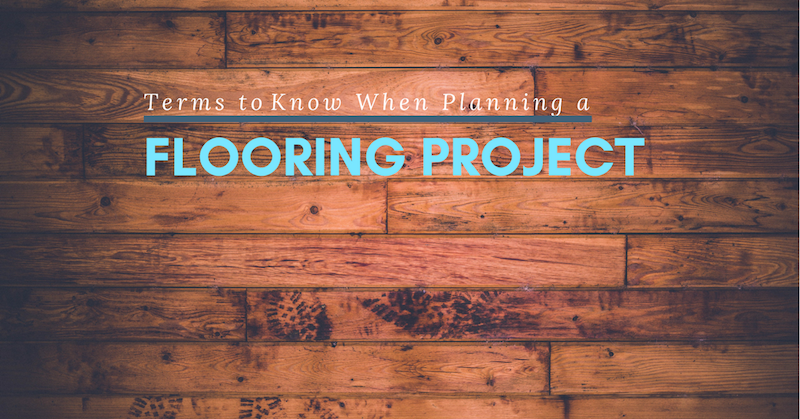 Questions on our process or the flooring installation process? Give us a call at (503) 775-0034 or contact us online with any questions.